In April 2009 one of our friends visited. 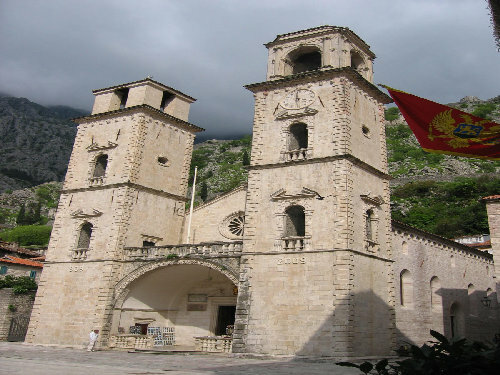 I had to go to Montenegro for my work and we used this opportunity to visit Budva and Kotor. 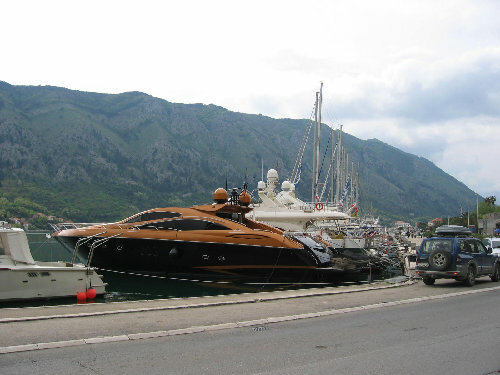 After Budva we first drove to Tivat. 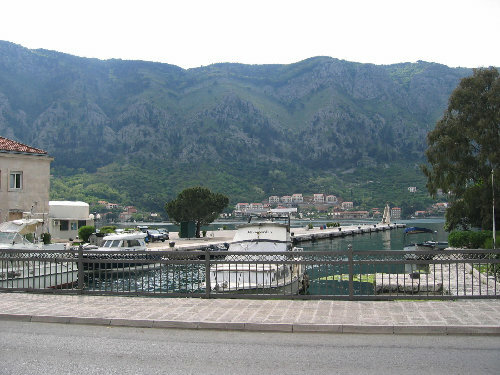 The second international airport of Montenegro is located in Tivat. 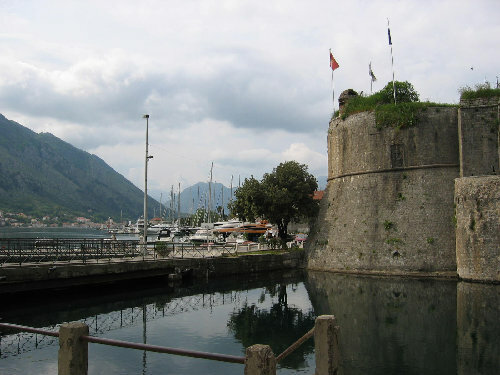 Sometimes when you take a plain from Belgrade to Podgorica they decide at the last moment that it should also go to Tivat before going to Podgorica. It never happened to me but it should be an interesting landing because the airport is located between the mountains and the see. You will probably approach with nothing but water and suddenly the landing strip, or nothing but hills and a steep dive of the plain to reach the landing strip. Both ways should look spectaculair. 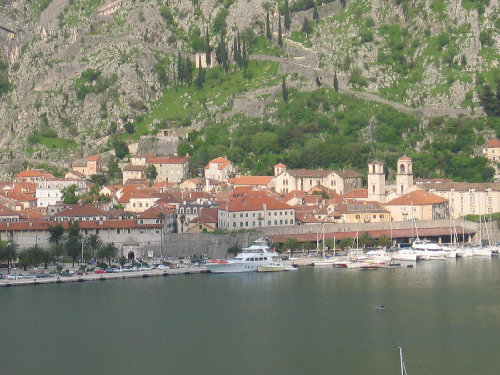 Anyhow, Tivat is located somewhere between Budva and Kotor. 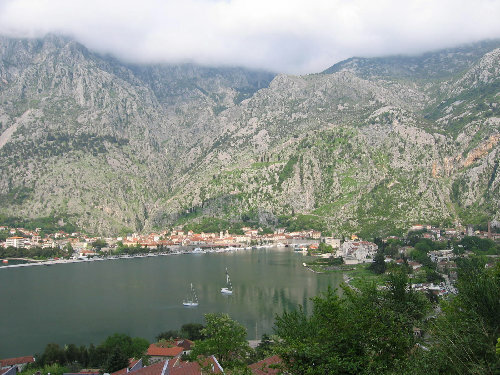 If you want to visit the coast of Montenegro it will be the best place to go to. 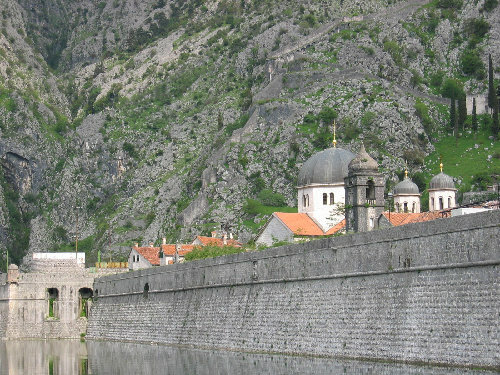 Kotor is a very old city with a great preserved ancient center. 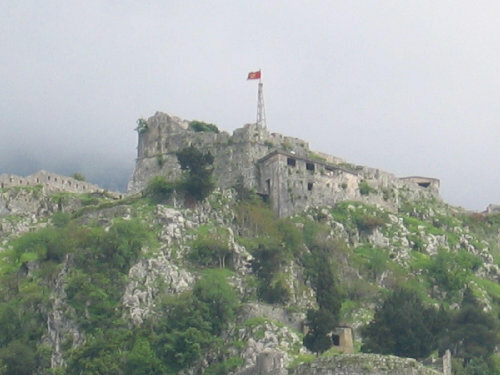 The fortress is located on the hills above the city. 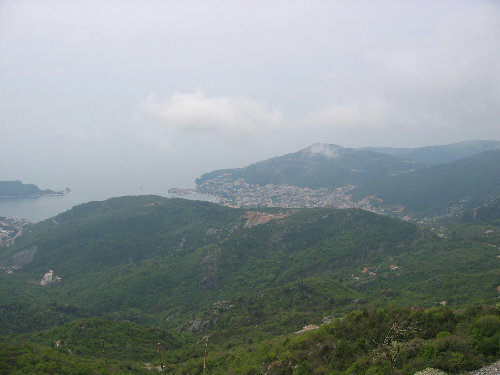 If you climb it you have a truly amazing view over the city and sea. 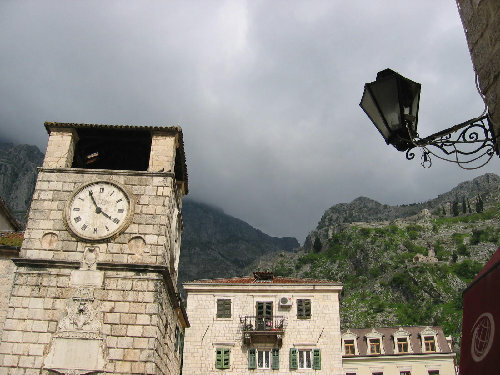 After leaving Kotor we took the old road from Kotor to Cetinje. 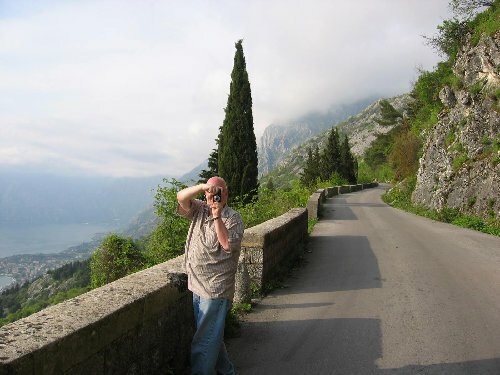 This road is a small road climbing up the hills very steep. Don't be too afraid if you take this road. The reward however is spectaculair, look at these pictures. 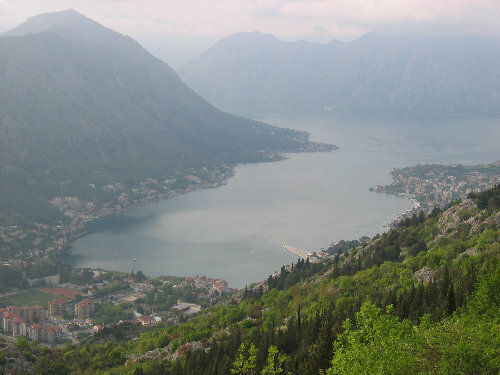 Once you are higher on that road you can look over some lower mountains and you will again see the landing strip of Tivat airport.